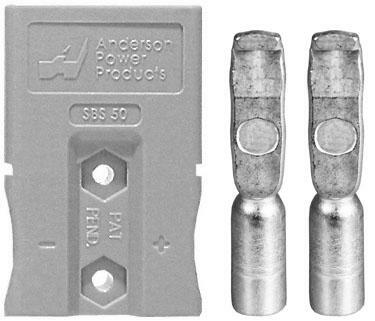 We supply high quality anderson plugs or anderson connectors which are commonly used where a durable, rugged connector, capable of high current transfer is required. Constructed of impact resistant polycarbonate, the connector housings offer both high physical strength and dielectric properties. 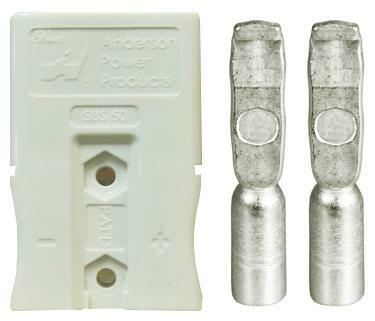 The silver plated solid copper terminals offer low resistance for superior conductivity, while self cleaning contact design resists arcing by keeping the conductive surfaces clean and free of corrosion. 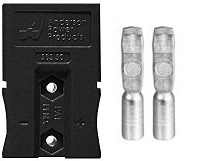 All terminals in the anderson plugs have flared and heat treated barrels that readily accept fine stranded wire and allow easy, high quality crimping. Integral Stainless Steel springs maintain constant pressure on the terminal to ensure a consistent, low resistance connection. Our anderson plug range includes 50Amp Anderson Plugs, 175Amp Anderson Plugs and 350Amp Anderson Plugs plus all the normal anderson plug accessories.